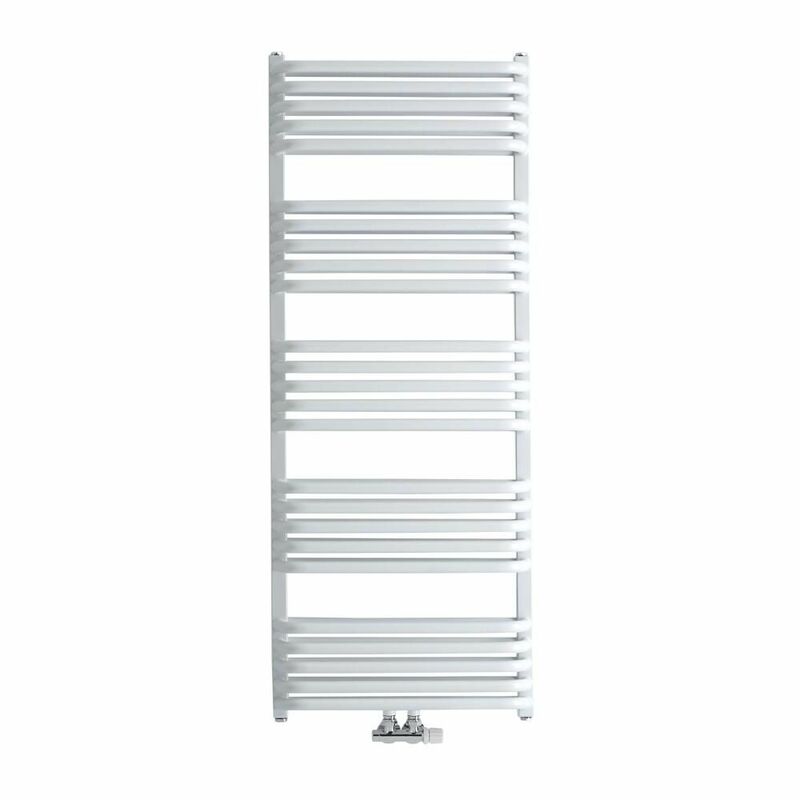 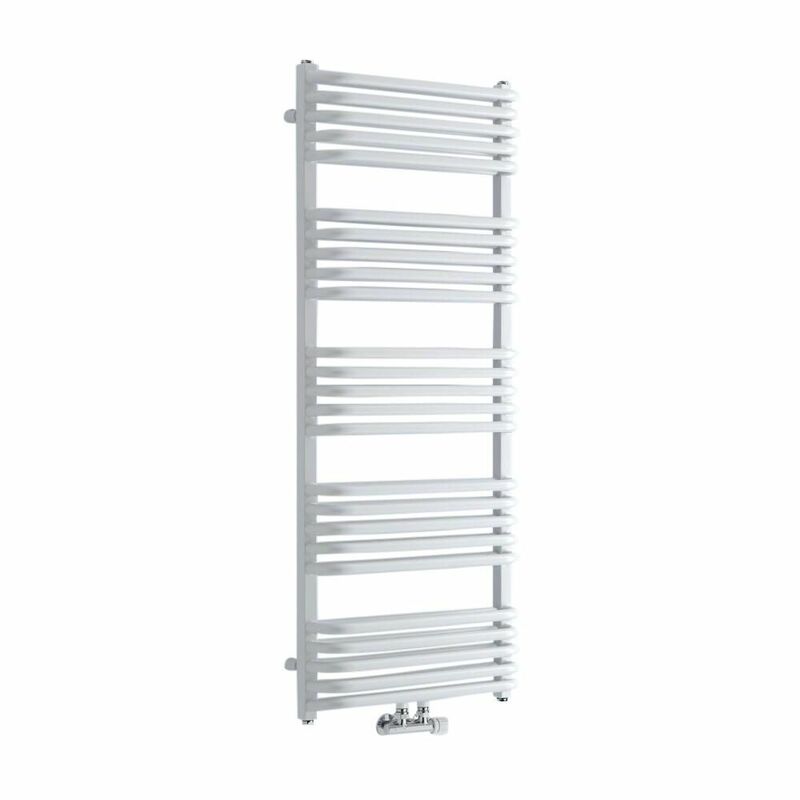 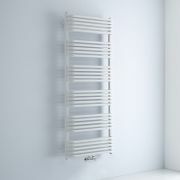 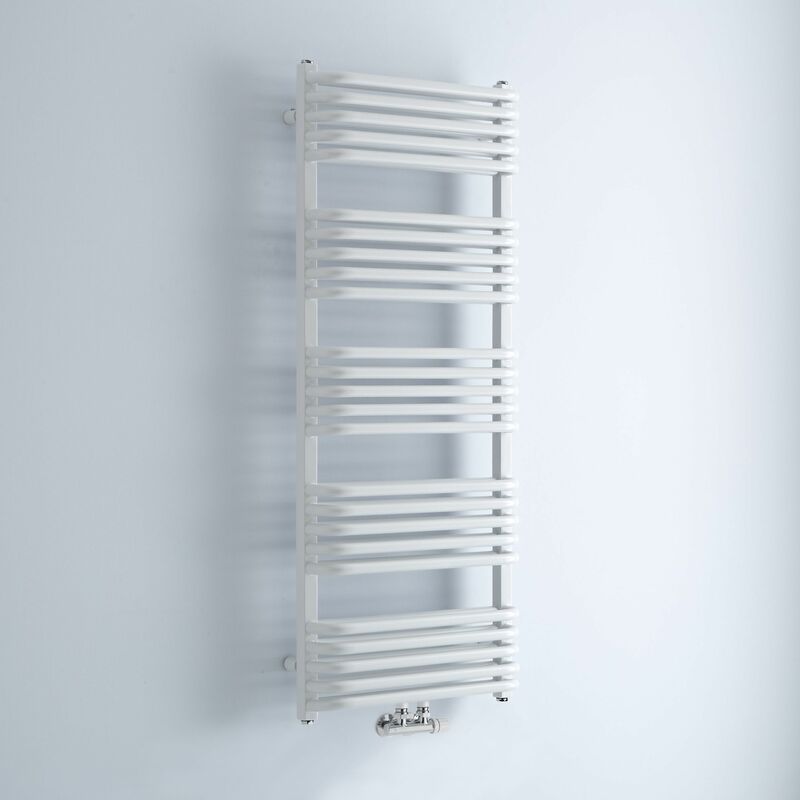 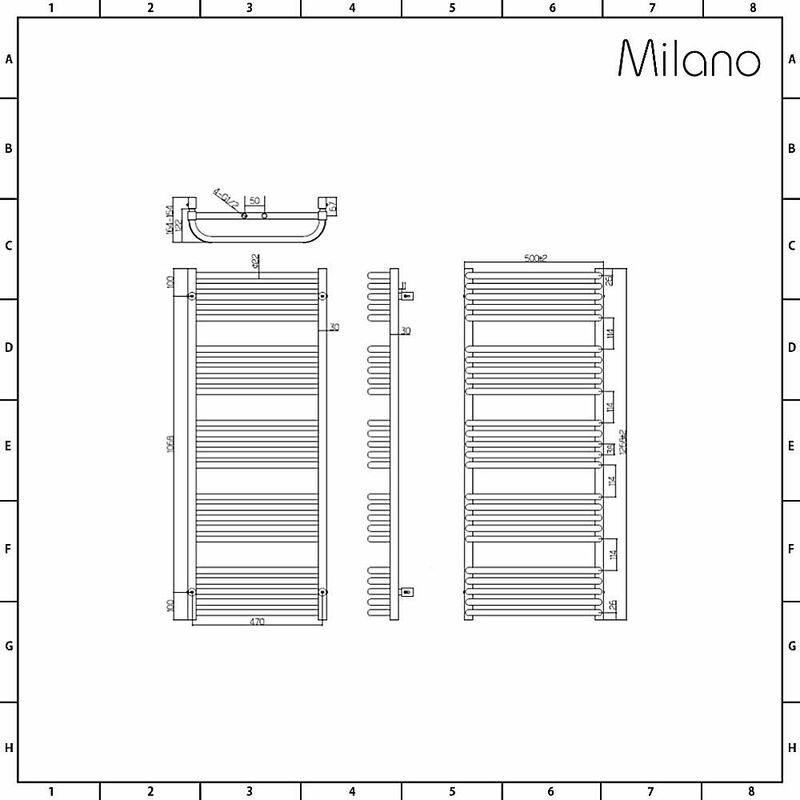 Featuring D-shaped bars and a hard-wearing white finish, the Milano Bow 1269mm x 500mm middle connection heated towel rail is sure to smarten up your bathroom or en-suite. 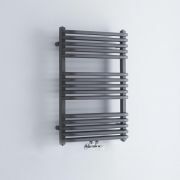 Boasting a high heat output, this heated towel rail provides a stylish and practical way to keep your towels toasty warm, as well as neat and organised. 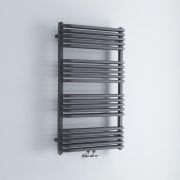 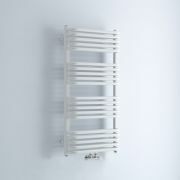 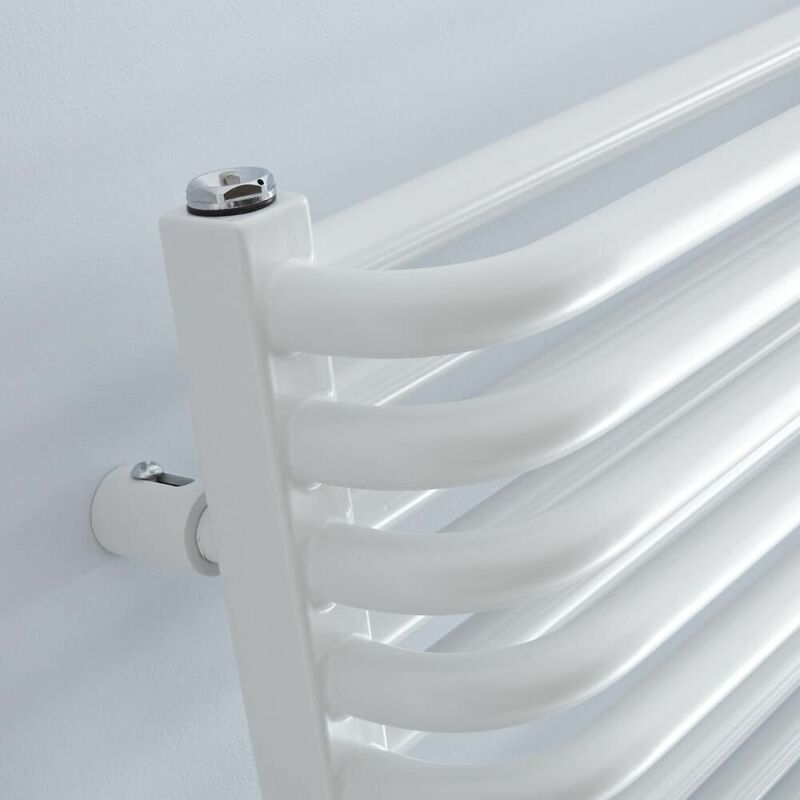 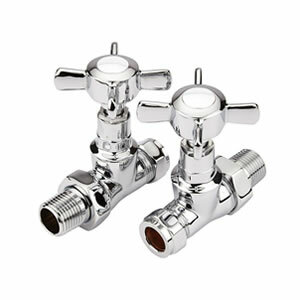 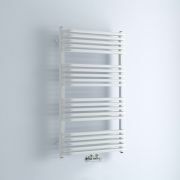 Made from premium quality steel for guaranteed durability, the heated towel rail has central connection valve inlets to help save space, which makes it ideal for smaller bathrooms.